The very latest update to Crocs' signature clog design. The Crocs' name stands proudly on the side of the clog, while also providing the functional benefit of increased ventilation. Footbed conforms to foot creating custom fit and increased arch support. Loose fit allows feet to bend and expand naturally, reducing fatigue. Ventilation holes accommodate Jibbitz™ brand charms. Now their feet can scream Crocs shoes just as loudly as they can. 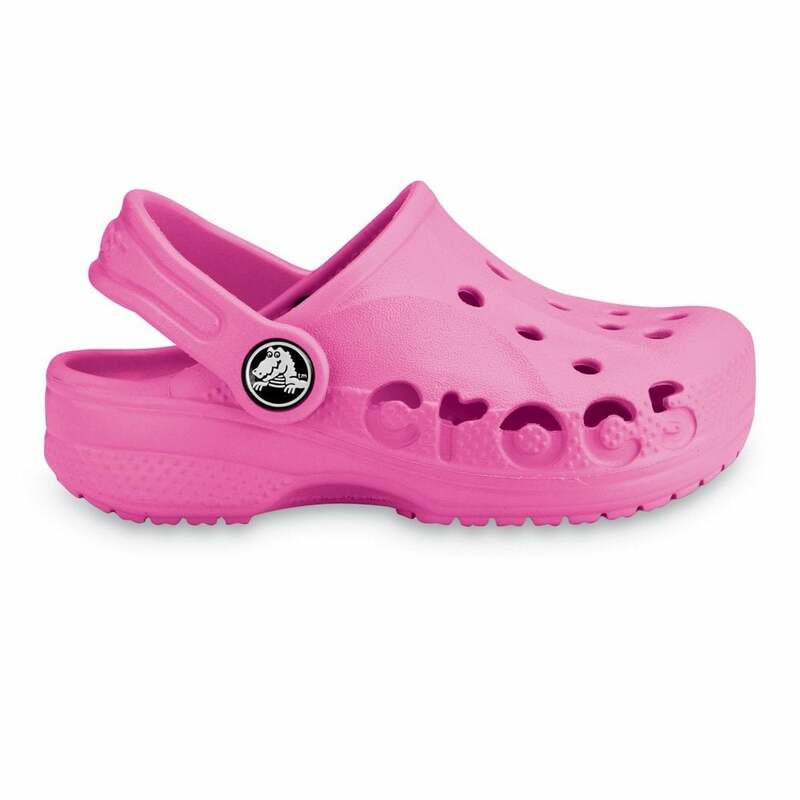 Introducing the Crocs Kids' Baya shoe, with a funky signature logo directly on the clog, and with a croslite material sole, the comfort and style of this unique shoe is perfect for summer, poolside, swimming lessons and running about at home. If you like the look of these you're sure to want a browse at the Crocs Sneakers too. Bought these for my daughter. not as durable as other crocs, not sure why, the material seems softer. However, she loves wearing them and finds them very comfortable.